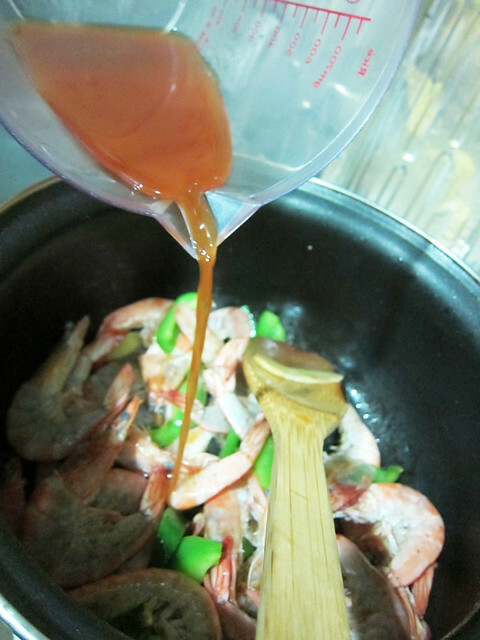 Crazy easy tomato prawns recipe. You know I’ve never cooked prawns in my life till today? Prawns seemed like a hard subject to tackle (by now you’ve probably realised that I have a lot of unfounded fears about MANY things) but with enough persuasion (read: pleading from the BF), I decided to try my hands at cooking it. 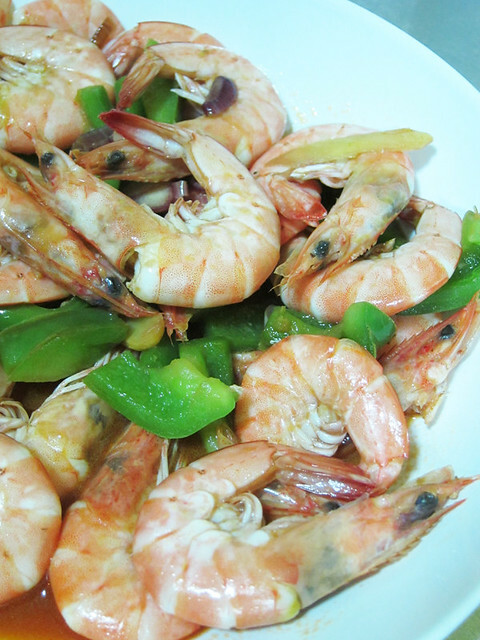 So I bought about 20 or so prawns from Tesco, which were surprisingly cheap…less than RM8 and looked for the easiest recipe I could find. Found it in one of my bargain bin favourites, “Chinese Gourmet Cooking”. Best of all though, it took me only 15 minutes to cook this, including removing the prawns whiskers. 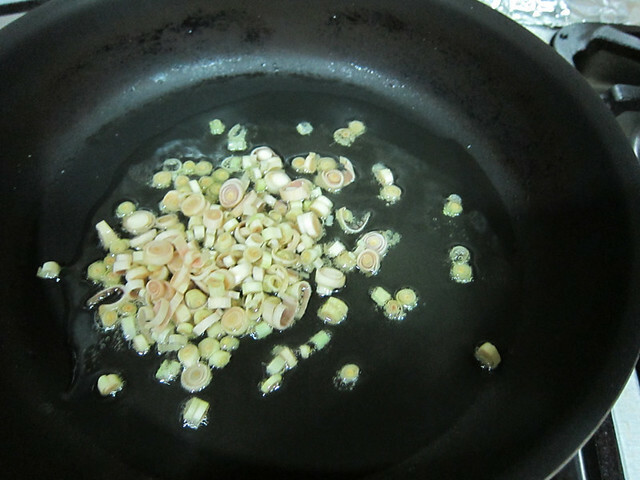 # – First, heat up oil in a pan and fry the ginger slices and shallots till fragrant. 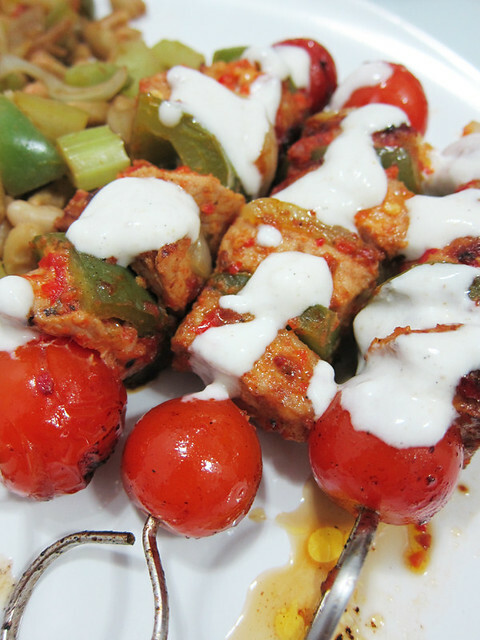 # – Add the cut capsicum. Fry for about a minute. 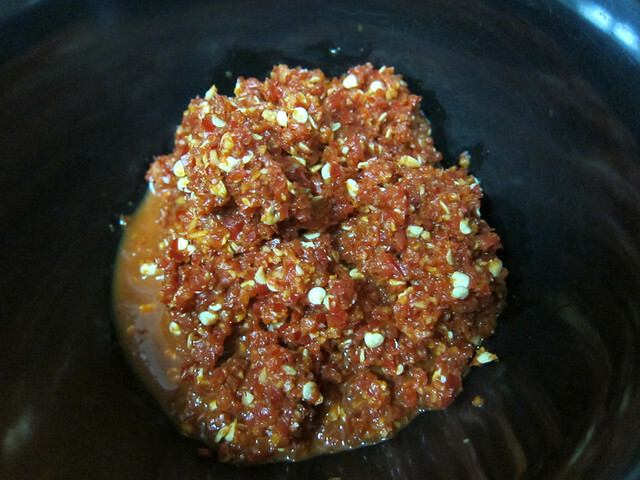 # – Pour in the mixture of tomato juice, vinegar and soya sauce. 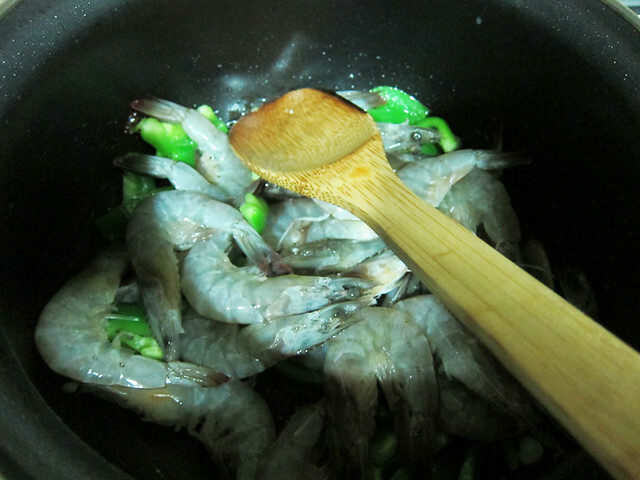 Cook for another minute till prawns are cooked through. 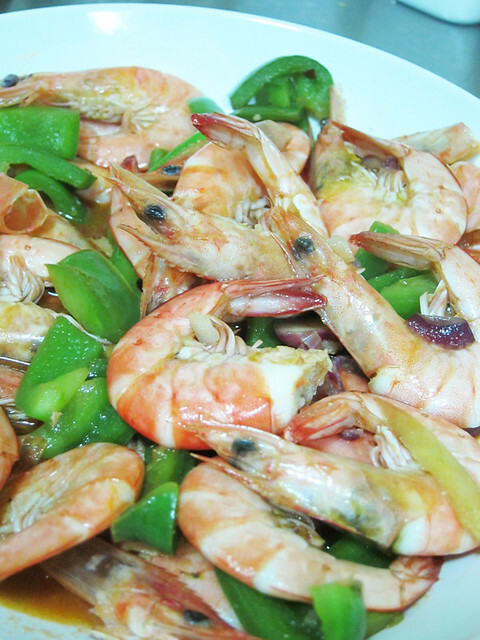 Don’t cook far too long, you don’t want the prawns to turn rubbery! # – Delicious tomato prawns, DONE! Like I said, it’s ridiculously easy to cook this and it’s so delicious! 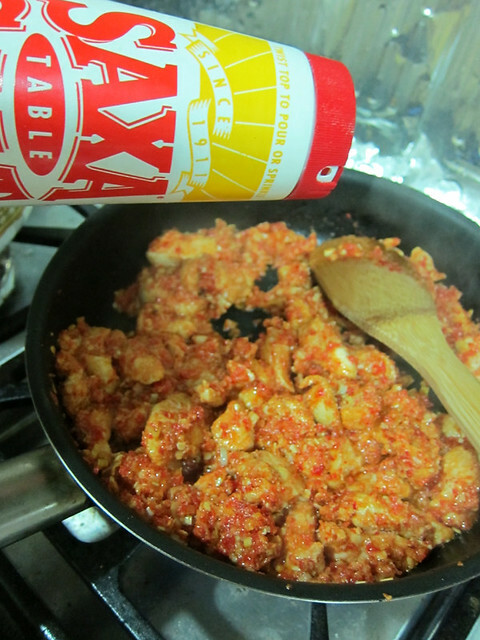 As only tomato juice was used, the sauce did not overpower the prawns, allowing the natural taste to come through. It’s finger licking good! 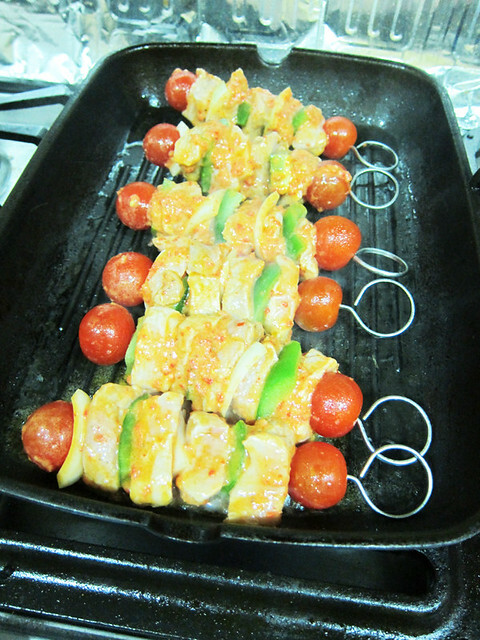 Vietnamese Chicken with Mint – my best Asian dish to date? If you don’t like to eat chicken breast cause they’re bland and tough, this recipe might change your mind. 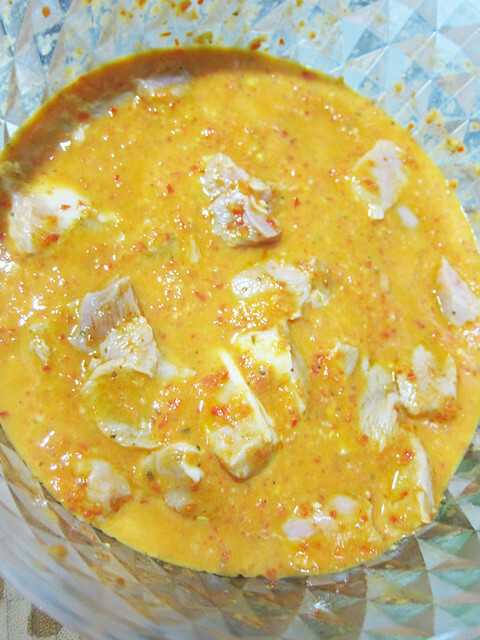 I got this recipe from Chef Wan’s book, “Simply Sedap!”. It’s one of my favourite recipe books! The instructions are clear and the flavours are always bang-on. Anyway, I made slight changes in the recipe but they didn’t ruin the recipe so if you have Chef Wan’s book, you may find a slight disparity between what’s posted here and in his book. This dish was so good that the BF claimed that it’s my best Asian dish to date. That allegation kind of threw me off a little (because I’m certain I’ve made Asian dishes that are comparably good!!!) but I had to agree with him that it was beautifully fragrant and every morsel was juicy, succulent and full of flavour. 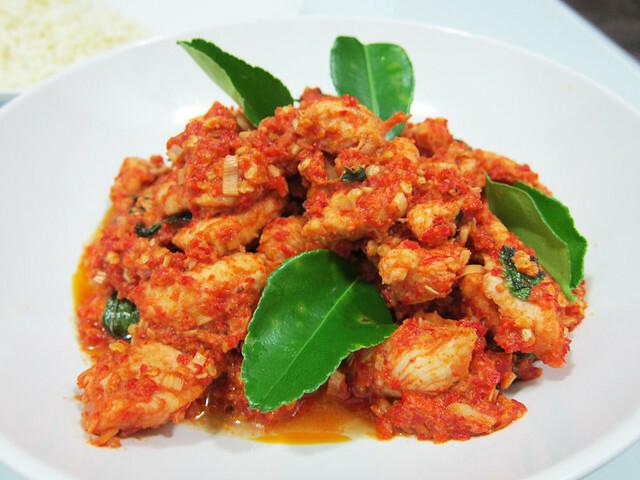 # – Vietnamese chicken with mint. 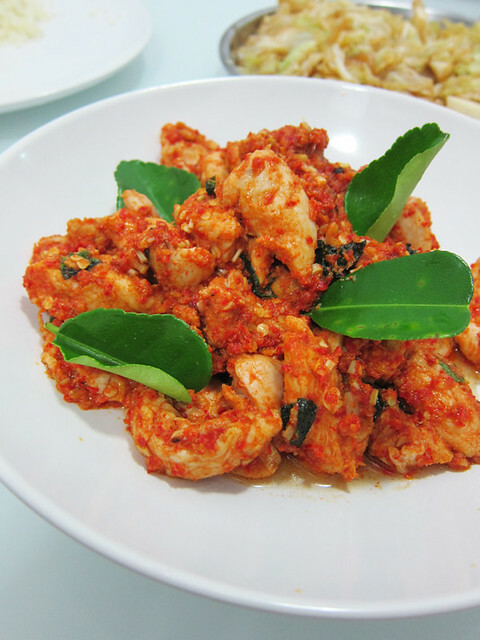 Despite having 10 large red chillies in this dish, it was surprisingly mild! What can I say, the all the ingredients in this recipe really managed to balance one another out brilliantly! 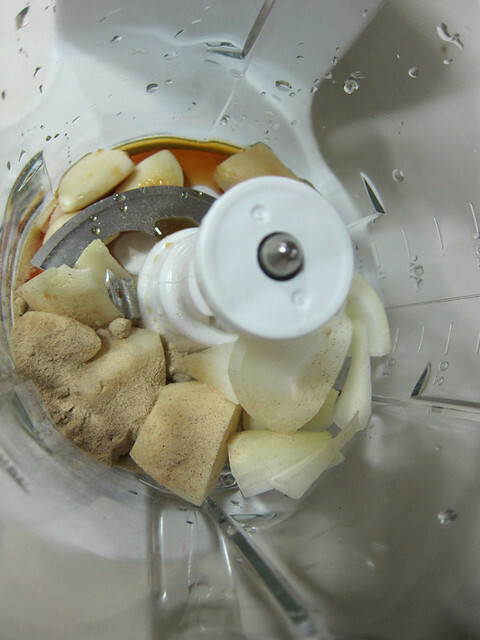 # – First, throw all the ingredients for marinade into a food processor and blitz till oblivion. 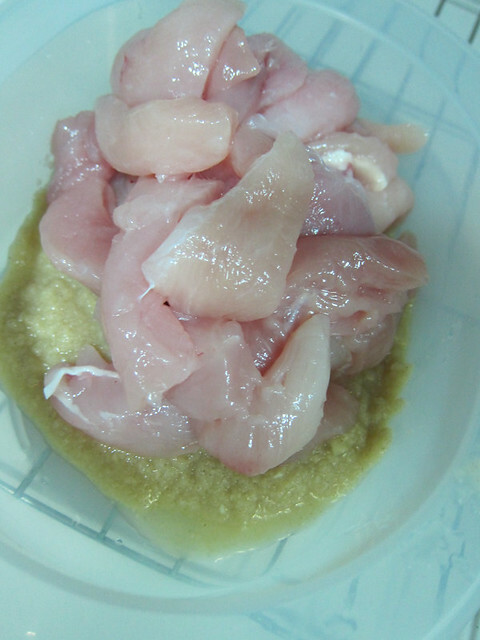 # – Now throw in the chicken slices into the marinade and mix till they’re evenly coated. 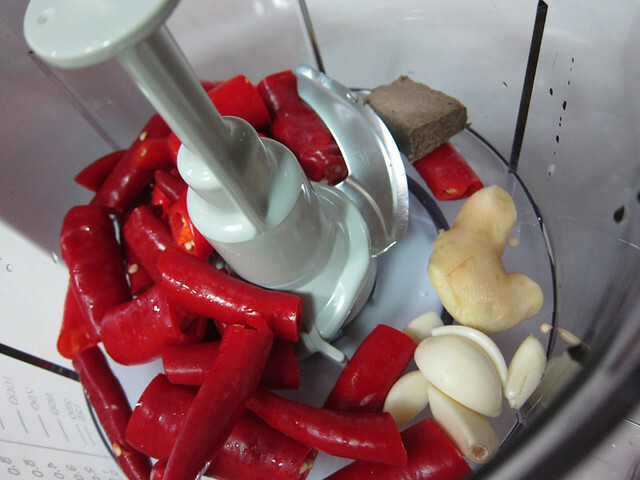 # – When ready to cook, chuck all the ingredients for spice paste into a food processor and blitz till oblivion, again. 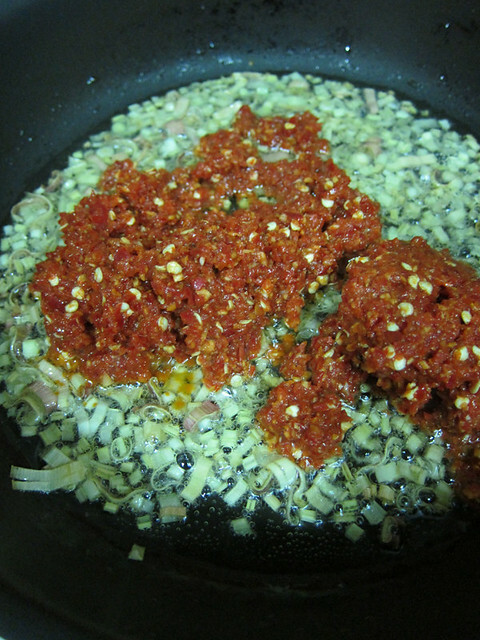 # – Set the spice paste aside while you continue with other tasks. 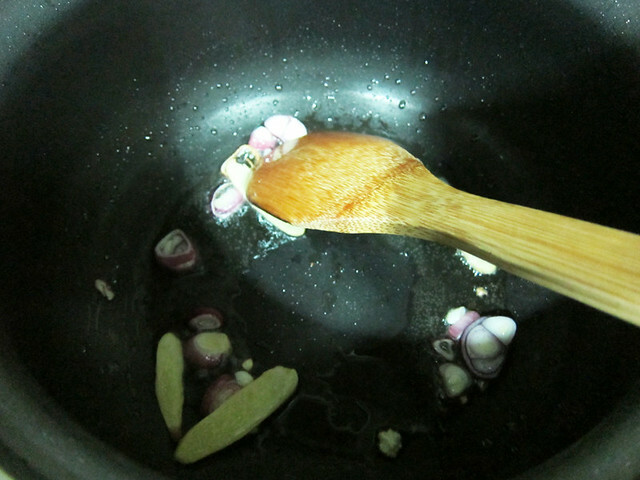 # – Heat up the oil in a pan and then throw in the sliced lemongrass. 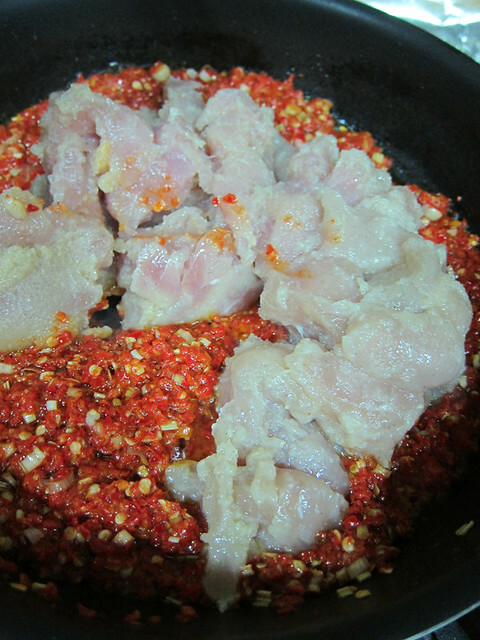 # – Next, throw in the spice paste and cook till fragrant. 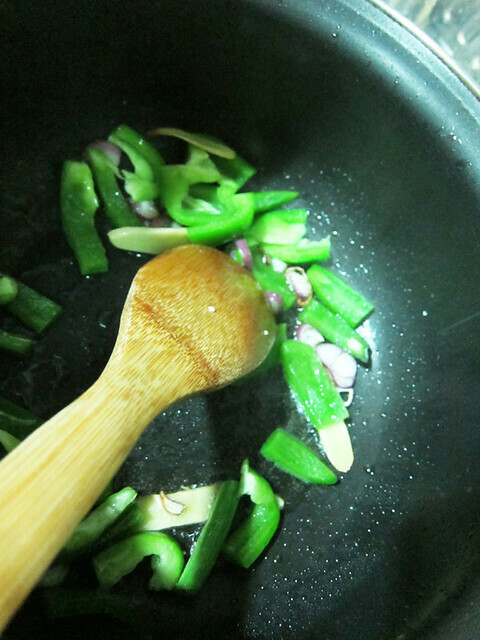 Cook for a little while more till the mixture looks like it’s excreting some oil. 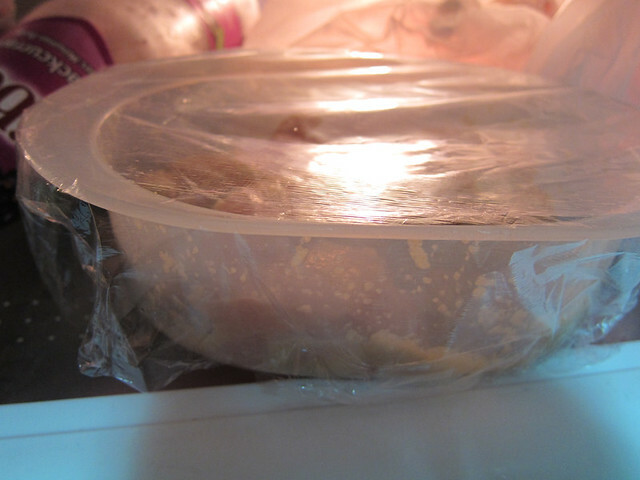 # – Now, throw in the marinaded chicken slices. 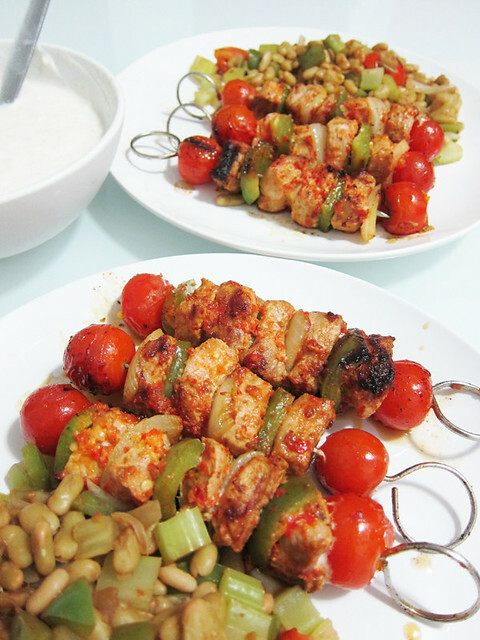 # – When the chicken slices have cooked through, season with salt and sugar to your taste. 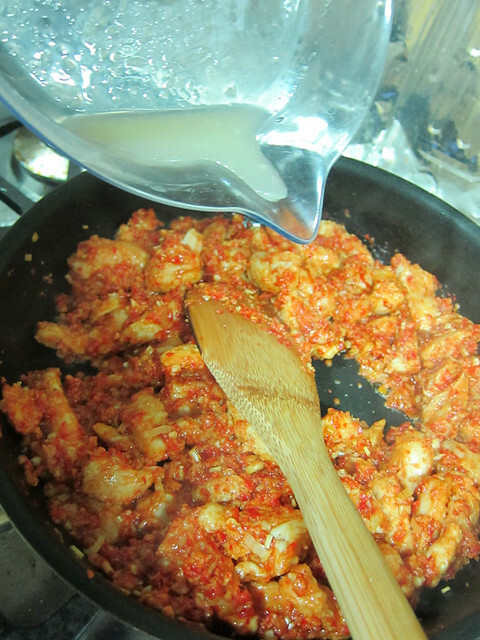 # – Then, stir in the lime juice. # – Turn off the heat, throw in the mint leaves and stir. 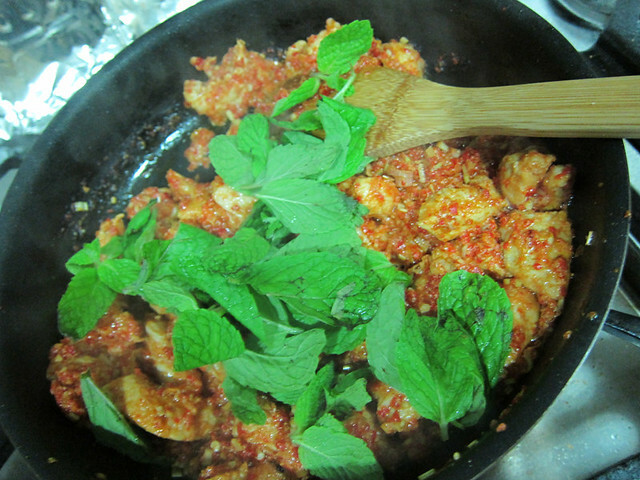 # – Vietnamese chicken with mint, DONE! 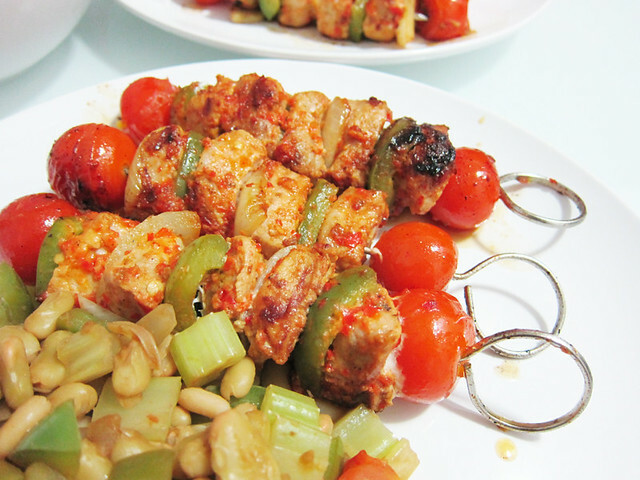 As this is a Vietnamese recipe, I am convinced that the original version of this dish may actually contain pork…and that’s exactly what I’d do next hehehe. 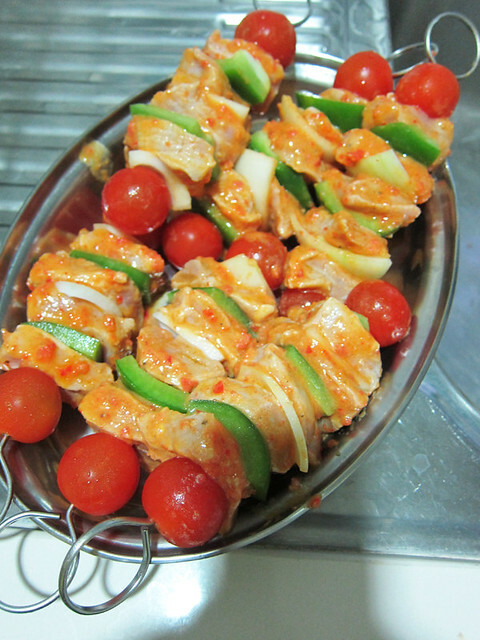 So…my best Asian dish to date? After 10 months of cooking actively? Guess I have to cook more and practise more!